When I first moved here, one of my favorite places to visit was Punalu`u Beach, often called the Black Sand Beach. 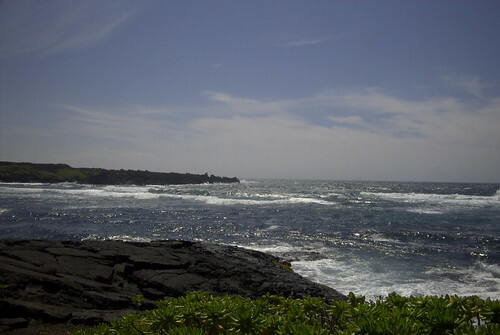 Everything from luaus to committee meetings to camping out takes place there. I still love to sit at one of the picnic benches and simply let the surf pounding on the rocks be my meditation. 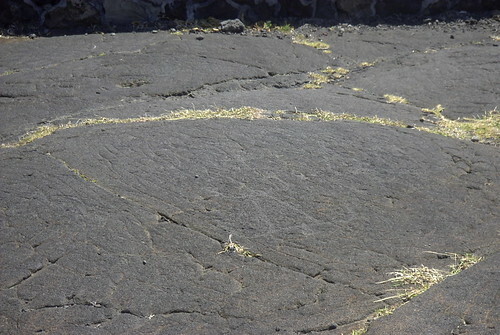 One day while I was there, a local man from the community showed me the petroglyphs that had been carved in the rocks. These deserve to be looked at in their bigger size. 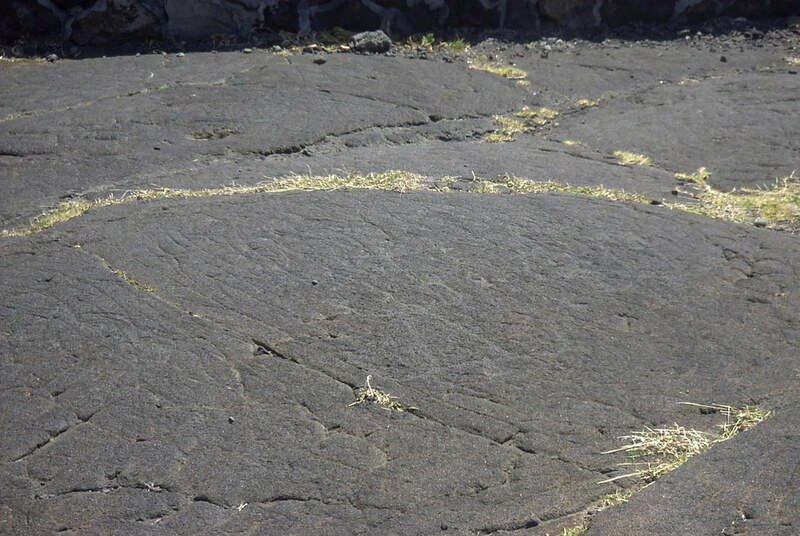 Click on each picture to get a clearer picture of the petroglyphs. 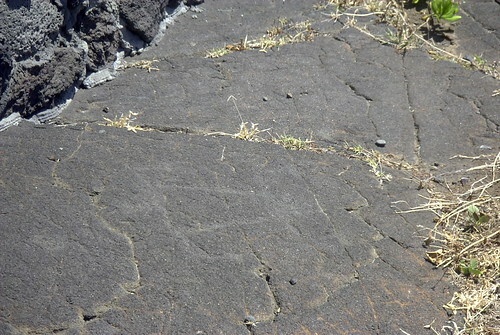 The article above doesn’t list these petroglyphs at Punalu`u Beach. Sometimes I wonder if just a few of the locals know about them. I stand in awe of their history. These are surrounded by a low overgrown wall. 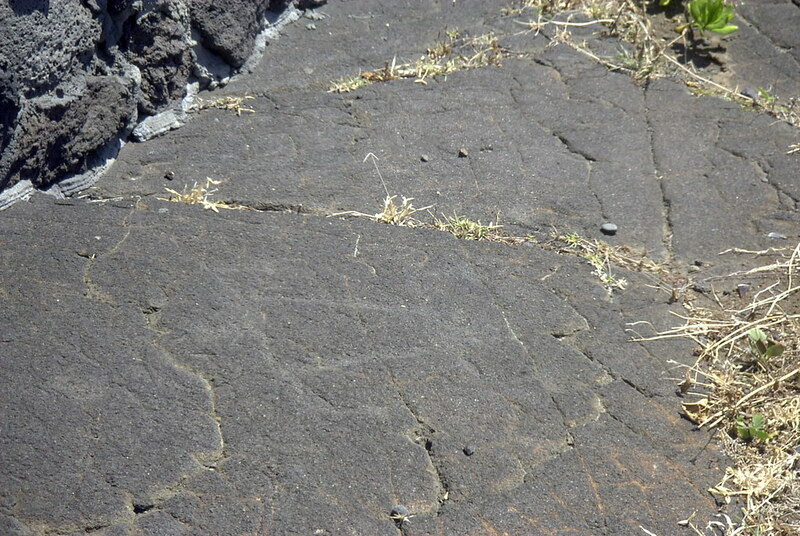 If you stop at this particular beach, please take care in preserving this part of our island heritage. 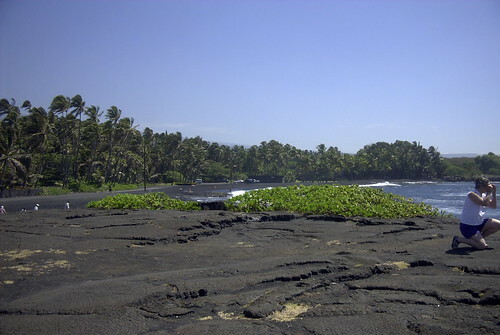 Enjoy the beach, but please don’t take any of our black sand home with you!